Janis Joplin was one of the most exciting and short lived participants of the 60’s music scene. Yet, what is known by very few is Janis began painting in grade school and continued until she embarked on her rock and roll career in the mid 1960’s. Her desire was to be a fashion designer until she began playing music. Her love for art and design is evident in the small but unbelievable work that she did in this short time period. Through extensive research and archiving we now have a visual diary of the artwork of Janis Joplin. Most of her Original works were done between the ages of 12 and 20. Unfortunately Janis was never able to pursue her love of art due to her untimely death in 1970. The estate of Janis Joplin have created estate signed limited editions taken directly from Janis’ Original works. The original pieces range from large oil paintings to fashion design sketches that she did while designing her own clothing. 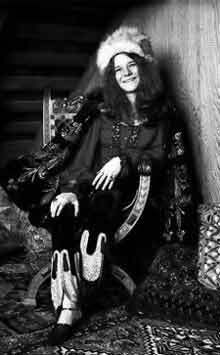 It is only now that Janis is getting her true recognition as one of the most talented people to come from the 60’s scene. As evidenced in her lifetime achievement award at the 2005 Grammy’s and the unbelievable rendition of “Cry Baby” and “Piece of My Heart” by Melissa Etheridge and Joss Stone that her mark on the culture and legacy of the 60’s is indelible. We have compiled what we feel is a unique look at Janis and her artwork. The major exhibits that have been mounted over the last year have included not only estate signed limited editions of her artwork but personal artifacts and memorabilia that are displayed but obviously not for sale. The response from the public and the press has been overwhelming to say the least.